TradeMed - Industry News - GE Healthcare and Nuance Partner with NVIDIA to Bring AI to Medical Imaging | | Medical Equipment and devices for hospitals or institutions. 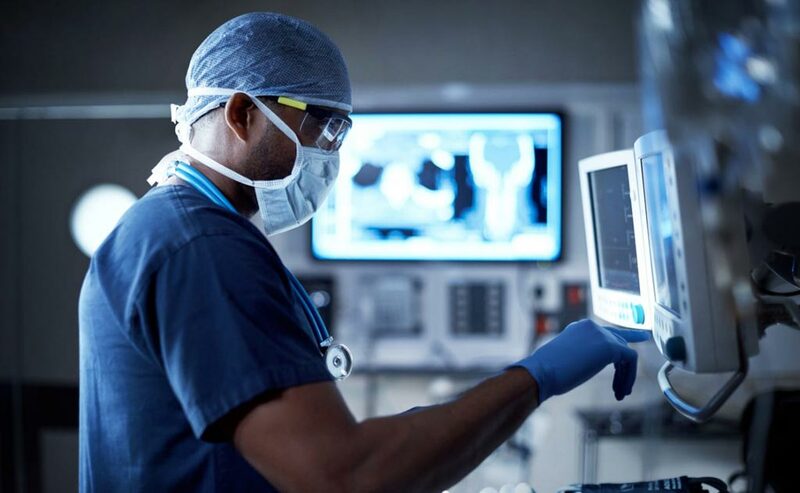 Healthcare-solution providers GE Healthcare (Chicago, IL, USA) and Nuance Communications, Inc. (Burlington, MA, USA), have partnered with NVIDIA (Santa Clara, CA, USA), a leader in visual computing technologies, for using the company’s deep learning platform to bring Artificial Intelligence (AI) to medical imaging. NVIDIA’s deep learning platform, which includes hardware and software to train and deploy neural networks from the cloud to the edge, is designed to be accessible for healthcare providers and researchers. GE Healthcare’s partnership with NVIDIA will bring the company’s AI computing platform to its 500,000 imaging devices worldwide. The partnership will deliver the new NVIDIA-powered Revolution Frontier CT, which is two times faster in imaging processing than its predecessor. NVIDIA will also power GE Healthcare’s Applied Intelligence analytics platform to accelerate the creation, deployment and consumption of deep learning algorithms for the instruments of the future. NVIDIA’s partnership with Nuance, a provider of intelligent voice and language solutions, aims to bring machine learning to radiologists and data scientists across the entire healthcare system. Nuance is announcing its new AI Marketplace for Diagnostic Imaging, built on NVIDIA’s deep learning platform. The partnership will allow radiologists to be involved in the creation of algorithms that can then be made readily available in the clinic. These algorithms have the potential to increase the workflow of radiologists, helping them to quickly detect and quantify key clinical findings and improve patient care. NVIDIA’s end-to-end AI computing platform designed for the healthcare community can benefit healthcare professionals by improving their efficiency of disease detection, diagnosis and treatment. By partnering with leading healthcare institutions and organizations such as the American College of Radiology, GE Healthcare and Nuance, NVIDIA expects to bring to market new machine learning-powered medical imaging solutions that will transform healthcare.